John Hicks is the Executive Director of the National Association of State Budget Officers (NASBO) in Washington, D.C. He joined NASBO in April, 2016. Founded in 1945, NASBO serves as the professional organization for all state budget officers of the fifty states and U.S. territories. NASBO collects data and publishes numerous reports on state fiscal conditions and organizes meetings and training for budget and finance officials. The organization also provides public officials, the media and citizens detailed information on state financial management and budgeting. Prior to coming to NASBO, Hicks served in Kentucky state government for 32 years, including 25 years in Kentucky’s Office of State Budget Director. For the last ten years, he served as the Deputy State Budget Director. In that position, Hicks oversaw the budget development and budget execution processes. Hicks graduated from Murray State University in Murray, Kentucky and received his master of public administration degree from the University of Kentucky’s Martin School of Public Policy and Administration. 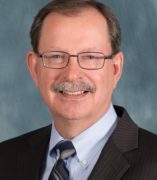 As a past member of NASBO, Hicks served on the association’s Executive Committee (board of directors) from 2007 to 2013, and was NASBO's President from 2011 to 2012. Hicks is the recipient of NASBO’s 1987 George A. Bell Service award and the 2013 Gloria Timmer award, which each recognize outstanding contributions and service to public budgeting and management in state government.